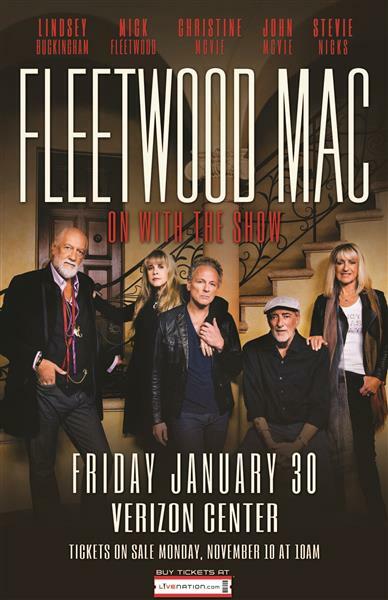 WASHINGTON --Fleetwood Mac is planning a second leg of their wildly successful tour, which came to the Verizon Center Friday night. The group returns to same venue Jan. 30, 2015. Tickets go on sale Tuesday for American Express card holders and Nov. 10 for general public. Click here for more.